This is a great resource you are putting together. Busse KZ Proto (G-10) 36.1 oz, 18.625", blade 12.5"
Generally, I am not really listing the "MANY" variants that come out. There are just way too many variants and then sub-variants of the variants - custom handle variations could all weigh different weights and so many variations on grinds that weigh different and have different thickness/length variations, etc. etc..
As far as I know, for now, the RMD Bowies were just show special/variants (????) ... we'll see. So, for now, I am not listing those. I WISH I had reserved a 2nd and 3rd post. Then I could add more info.... and I am sure I would list at least some variants here and there - especially if I have the specs! But, each post is limited to 15,000 characters and I am running out of room on my single first post. I have had to edit and abbreviate my list quite a few times now to keep adding new releases. If I could figure out a way to post my list as a chart or Excel type doc or similar, that would help a LOT! I have tried, but can't figure out how. .... Maybe I need to send Kevin (Spark) a PM and ask. There are many of the knives listed that I owned and personally weighed on a pretty accurate digital scale. My scale weighs to 5/100ths of an ounce = accurate enough for me. But, many I have had to rely on gathering info from others for many of the weights on knives I never personally owned. .....and I don't remember where I got the weight info for the KZ's. I just have to hope others are providing reasonably accurate info (???). However, I did own both a G10 and micarta RMD (actually 2 of each at different times). My G10s were both right at 11 ounces and my micarta were both right at 10 ounces... back then. I currently only have a heavily ground and modified micarta RMD - it still weighs right at 9.50 ounces (as of today - just checked). So, even with a significant amount of steel removal, my micarta RMD still weighs more than yours. And I am sure that I removed a good half ounce of metal from it's original shape/weight. So, I am sure my earlier release RMD(micarta) was probably accurate right at 10.0 ounces. I don't know why your RMD weighs so much less than mine. But, I will speculate that since the RMD has been in production for so long with many "Re-Fills" of inventory, that it has probably been produced in multiple batches with some slight variations from batch to batch (????) Maybe different tooling settings or something (???). I would assume most other Busse and kin releases are all from a single batch and variants (probably ??? - at least most maybe ???) come from left-over batch blanks or similar. Thanks for adding specs for the Battle Guard SpyderPhreak. I rounded to 16.2 ounces. Close enough considering they can vary a couple tenths of an ounce either way on a knife that size. Similarly, I left the specs I had for the others since yours are pretty close and within reasonable range. But, thanks for added clarification. Team Gemini Light Brigade with Black Canvas Micarta Handles weighed in at 15.7 oz. wow...is there really a 6 ounce difference between the SY 511 and 711...?? thats crazy! I wish I had gotten the weight of the katana, but I forgot the scale until Sunday. Good Stuff. Thanks. I have updated. 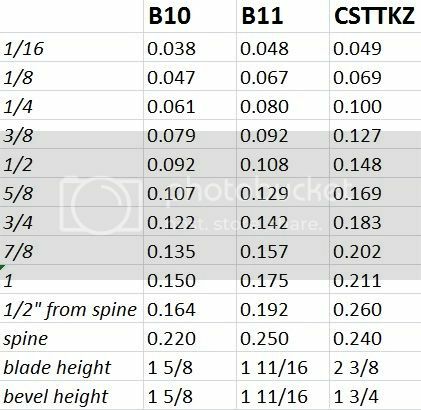 Jerry posted the dimensions of the ScrapMax 460 with blade at 4.5" and OAL at 9.1875", so I will keep Jerry's numbers on dimensions as he posted. 4.5" - 4.6" in the blade doesn't seem like much, but over 0.2" in the OAL seems a bit more than normal variance for Busse and kin blades. I don't know why. But, I will leave Jerry's posted dimensions. There always seems to be a little variance here and there in weight. 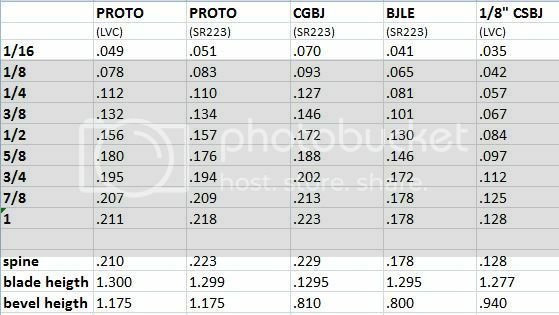 0.05 ounce to 0.1 ounce variances are pretty small variances. I have weights given for the 460 ranging from 3.25 - 3.45 ounces and the 360 ranging from 3.3 to 3.4 ounces. Both average out to about 3.35 ounces. If the dimensions posted by Jerry are accurate, then I am a little surprised that they both weigh about the same. They are both stated to have thickness of .095". The 460 is longer, but the 360 has a wider blade. I guess those trade-offs in dimensions are enough to keep the weights about the same (???). Well, Jerry is giving 4.5" blade + 4.7" handle, mine measures 4.6" + 4.8", 0.1" greater on each, and it weighs in at 3.54 oz on a professionally calibrated scale (I work in a research facility). I can unwrap my second one and measure that as well (don't have it at work with me, which is where the equipment is), but upon first examining my two 460s, both sharpened by Beef, the difference in blade profile is evident. Both are shaving sharp, but the one whose measurements I've presented has a narrower edge bevel and more belly in the curve and the point drops slightly along the spine (much like the 'stock' photo) while the other's edge bevel is at least twice as wide (with a rougher finish or maybe the coarse grind is more obvious on the wider bevel), the transition to the point is less curved, and the spine follows a slightly different path. My guess is that the other 460 will measure slightly shorter and lighter. *shrug* Also, I thought the name 460 gave the intended blade size (4.6")...? I appreciate the in depth account of credibility. I appreciate accuracy. 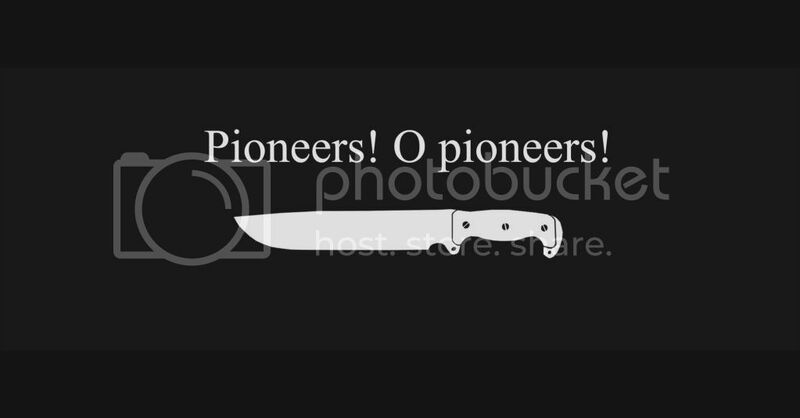 "*** Please keep in mind some specs can and do sometimes vary a bit from knife to knife." I think it is very likely (????) that there might be many knives out there that fall within Jerry's posted specs. I have to assume Jerry is capable of measuring as well and I don't feel I should call his posted specs inacurate based on a discrepancy here and there. 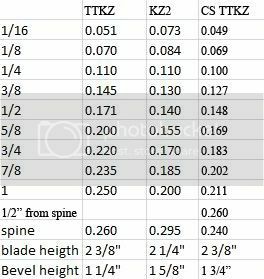 Most of the Busse and kin knives I have dealt with have been pretty darn close in the lengths/widths/thickness departments while it is not uncommon to see variances of tenths of an ounce or so to sometimes over an ounce variance - especially if compared knives are from different runs. Scrap Yard has more of a bang-for-the-buck approach and maybe that has something to do with subtle differences in your two 460 knives. (????). In all fairness, I have seen differences over the years in grind lines here and there. 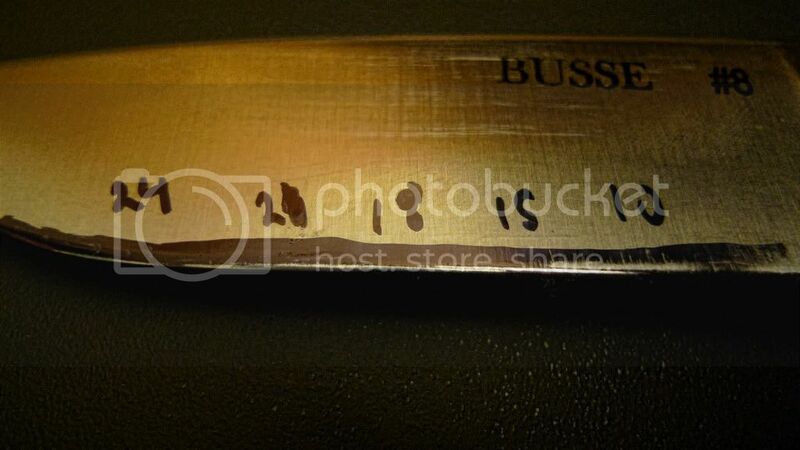 Busse and kin clearly use a lot of CNC machining, but differences still happen. To keep a "reasonable" list of specs with dimensions and weights, I don't want to have to post every single discrepancy and ideally I am not posting a whole lot of "ranges". Generally, if Busse and kin post their specs, I would rather just call those "Official" - at least official enough. 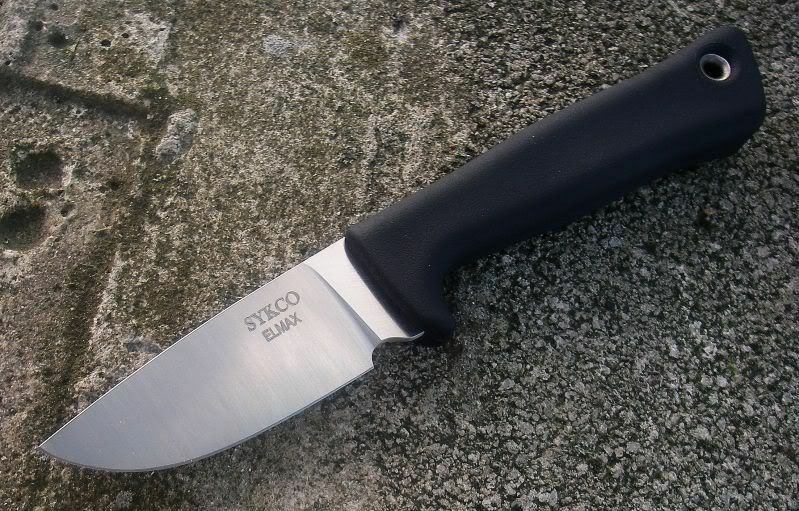 There are many knives in the past where Busse and kin did not post the specs and hence I created this list to help collect the data from my own measurements and measurements from follow Busse and kin owners. I want and prefer as accurate data as possible, but we have to accept that there are variances from knife to knife. As much as I prefer it to be exact or accurate, it just isn't realistic to consider this an exact science. The "460" being the intended size is new to me. I hadn't noticed that comparison. Maybe so, I don't know, but I don't know why Jerry would list the specs as having a 4.5" blade if it was "intended" to have a 4.6" blade (????). In any event, I will go ahead and list some "ranges" for the 460. As to the names, i wondered why they called the long model 460 and the shorter 340, then realized that these numbers roughly fit the blade lengths. 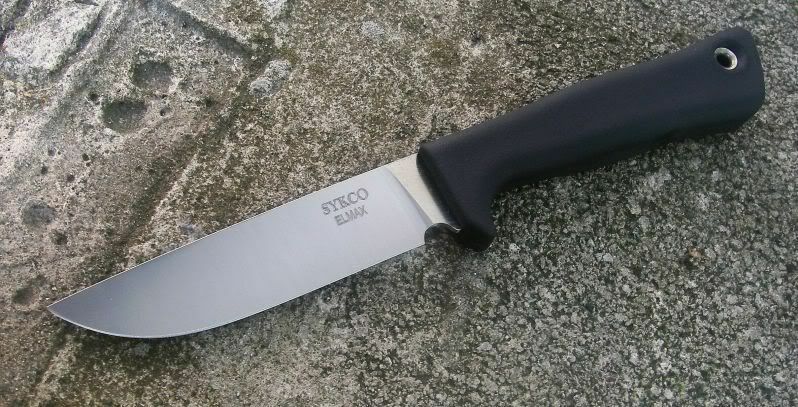 I have since seen the Bladeshow scrapmax called 375 in reference to its blade-length. Seems like a solid (intended) correlation, but i don't have Dan's word on that. Anyway, thank you again for the list! These measurements show the thickness from the edge towards the spine. I initially did the measurement on the first knife I measured at 1" above the edge because thats what seemed practical. I should have done it from the edge all the way to the spine, but at the time I didn't have a set of calipers, all I had was the anvil type micrometer which limited the depth I could measure to 1". 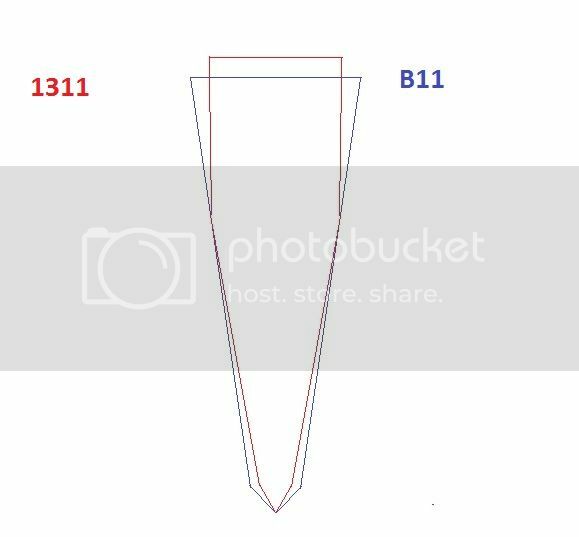 from an earlier post I made about it: "The 1311 is taller than the b11 with a thinner edge. The 1311 ends up at full thickness right at the same point where it becomes the same thickness as the B11, so that the 1311 continues upward at the same thickness while the B11 continues upward to become a full .250" thick at it's spine. 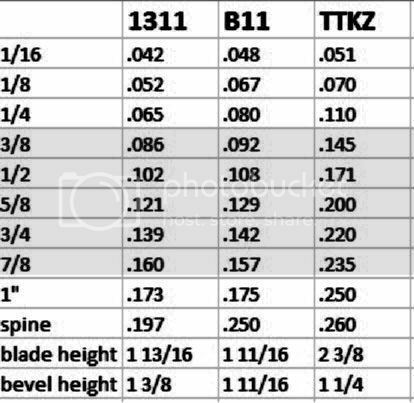 Personally I find the 1311 to be a better geometry for cutting, even though the 1311's primary bevels are at a higher angle (so that media spreads apart faster as the knife enters it) the media spreads out significantly less spread apart. You get a better initial insertion to help sink the weight of the knife in. " It might be worth taking the information form this thread that you want to keep (From the first post as well as subsequent posts with reference to who posted it), and transferring it into a new thread. reserve the top 4 or 5 posts in the new thread, then close this thread and put a link to the new thread in the first post to direct people where to go for the newer information. 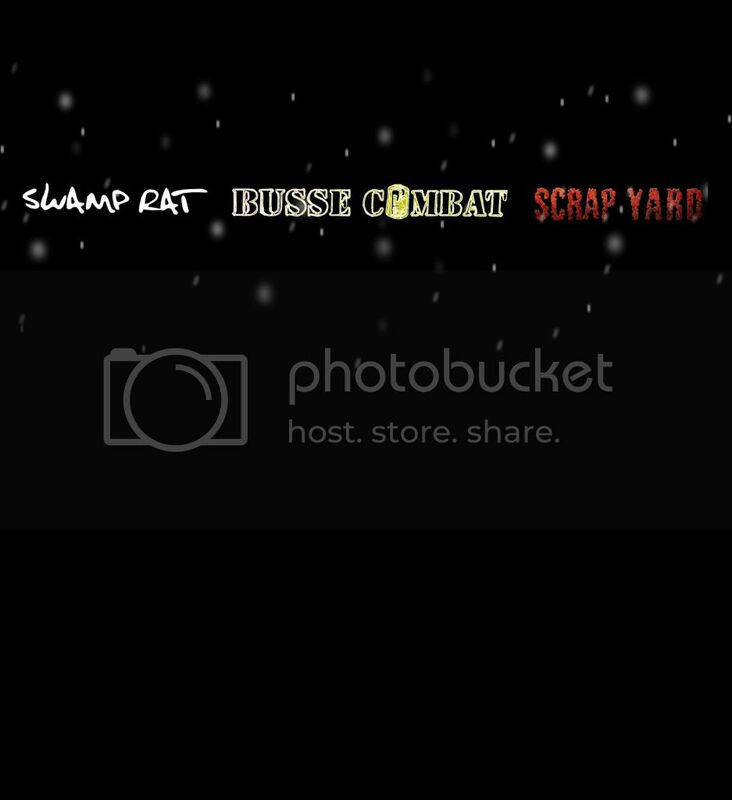 Info on the Scrap Yard 1311: weight on mine is 1lb 2.8oz. Updated. Thanks LVC. .... I am still waiting for mine. The other spec information is interesting, but a little advanced and detailed for me to add for all of the other knives on my current "simple specs" chart. I have considered this and I will likely have to do so pretty soon as new knives need to be added. Over the last few months, I have been able to get by with abbreviating certain info more and more to where I have been able to manage so far. But, I am running out of characters and will at some point need to go to a different option. At that time, I will need to contact a forum mod to have them re-sticky any new post and as you say, I will make a thread link in this post to the new one. I wish there were a way to salvage the existing thread, but I don't see how. I have a very cool layout on a word document more specs and with much easier to read and follow format with columns, rows, pictures, blade heights, logos, etc., but unfortunately, no easy way to post it. I thought about making sections of the document into large pictures of the info, but that becomes a big hassle any time I would need to update.